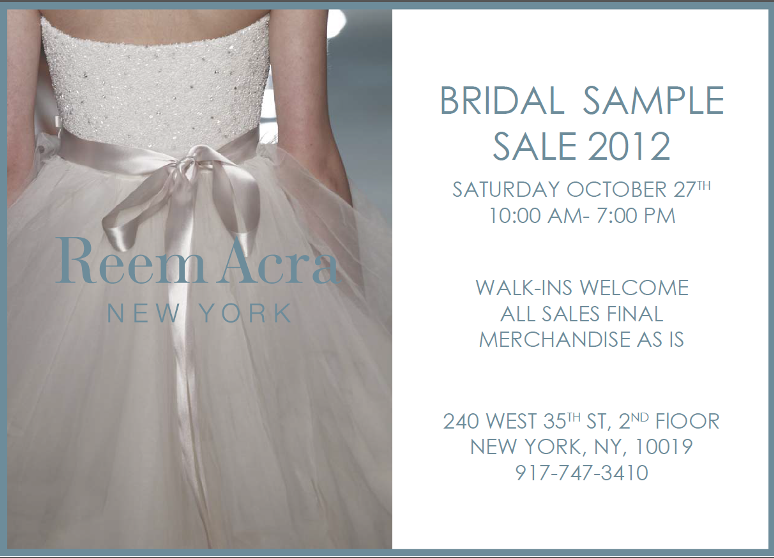 To all the future brides who have always dreamed of buying a Reem Acra dress, this is your chance. The stunning gowns will be availble. If you saw a glimpse of the FW13 collection, you know you will find quality, fashionable, and dresses that will give you the WOW! factor.